President Donald Trump is not worried “at all” about the talk of impeachment proceedings, White House deputy press secretary Hogan Gidley insisted Tuesday. If Democrats backed down on their claims against the president, “they would be admitting the last two years of their life was a complete and total waste of time,” Gidley said. Judiciary Chairman Jerrold Nadler was one of six powerful committee leaders making their case on a conference call with other House Democrats late in the day that they are effectively investigating Trump-related matters ranging from potential obstruction to his personal and business taxes. House Speaker Nancy Pelosi urged divided Democrats to focus on fact-finding rather than the prospect of any impeachment proceedings after the damning details of special counsel Robert Mueller’s report. Nadler and the other chairmen made clear they believe Trump did obstruct justice, according to people on the call who weren’t authorized to discuss it by name. McGahn would be a star witness for any such case because he refused Trump’s demand to set Mueller’s firing in motion, according to the report. The subpoena angered Republicans even as it functioned as a reassurance to impatient Democrats. Rep. Doug Collins of Georgia, the top Republican on the Judiciary panel, pointed out that McGahn sat for 30 hours of interviews with Mueller and said Nadler was asking for some items that he knows cannot be produced. Trump himself insisted he wasn’t worried. “Not even a little bit,” he said when asked Monday whether he was concerned about impeachment. However, his many tweets seeking to undermine the report’s credibility indicate he is hardly shrugging it aside. On the other end of the scale, Pelosi’s approach disappointed some Democrats who are agitating for impeachment proceedings. According to her spokesman, Rep. Val Demings of Florida said she believed the House has enough evidence to begin the process. McGahn was a vital witness for Mueller, recounting the president’s outrage over the investigation and his efforts to curtail it. The former White House counsel described, for instance, being called at home by the president on the night of June 17, 2017, and directed to call the Justice Department and say that Mueller had conflicts of interest and should be removed. McGahn declined the command, “deciding that he would resign rather than trigger what he regarded as a potential Saturday Night Massacre,” the Mueller report said. Once that episode became public in the news media, the president demanded that McGahn dispute the reports and asked him why he had told Mueller about it and why he had taken notes of their conversations. McGahn refused to back down, the report said. Nadler’s announcement was one of several leadership moves aimed at calming a struggle among Democrats to speak with one voice about what to do in light of Mueller’s startling account of Trump’s repeated efforts to fire him, shut down his probe and get allies to lie. After Mueller’s report was released last week, the most prominent of the Democratic freshmen, Rep. Alexandria Ocasio-Cortez of New York, signed on to Rep. Rashida Tlaib’s resolution calling for an investigation into Trump’s conduct and the question of whether it merits a formal impeachment charge in the House. “Mueller’s report is clear in pointing to Congress’ responsibility in investigating obstruction of justice by the President,” Ocasio-Cortez tweeted. On Monday, Pelosi’s letter made clear there was no Democratic disagreement that Trump “at a minimum, engaged in highly unethical and unscrupulous behavior which does not bring honor to the office he holds.” But she acknowledged the party’s officeholders have a range of views on how to proceed. She counseled them repeatedly to go after facts, not resort to “passion or prejudice” in the intense run-up to the 2020 presidential and congressional elections. She is the de facto leader of her party until Democrats nominate a candidate to challenge Trump, so her words echoed on the presidential campaign trail. As the conference call got underway, Nadler’s subpoena announcement was made public, an indication that the facts-first approach was moving ahead. Pelosi, calling from New York City, spoke briefly. Then she put a show of leadership force on the line — six committee chairmen, some of the most powerful people in Congress — to give more details, according to people on the call. Nadler went first. Others who followed were Oversight and Reform Chairman Elijah Cummings, intelligence committee Chairman Adam Schiff, Foreign Affairs Chairman Eliot Engel, Financial Services Chairwoman Maxine Water and Ways and Means Chairman Richard Neal. The call lasted about 90 minutes and included about 170 Democrats. Minnesota Sen. Amy Klobuchar said Trump should be held accountable, but she stopped short of calling for impeachment. There’s more coming to keep Trump’s reported misdeeds in public. Congressional panels are demanding the unredacted version of the Mueller report and its underlying material gathered from the investigation. Attorney General William Barr is expected to testify in the House and Senate next week. Nadler has summoned Mueller to testify next month, though no date has been set. In the face of the intense run-up to the 2020 election, Pelosi implicitly suggested Democrats resist creating episodes like the one in January in which Tlaib was recorded declaring the House would impeach Trump. “We must show the American people we are proceeding free from passion or prejudice, strictly on the presentation of fact,” Pelosi wrote. Owen Shroyer breaks down the widening schism between the far-left and the Democrat leadership over impeaching President Trump, but the far-left appears to be in control of the party. 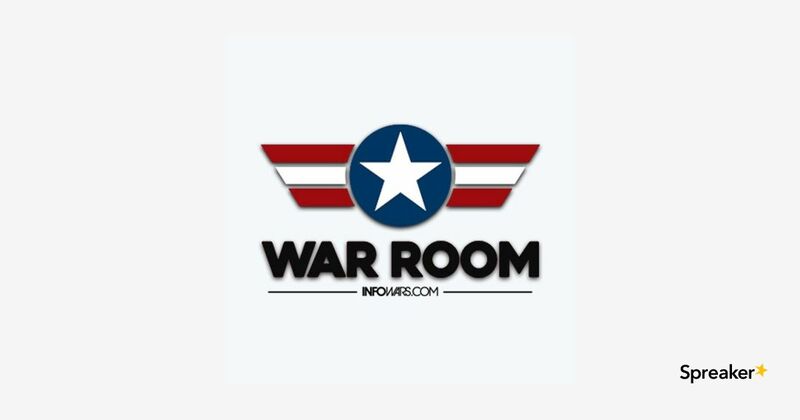 Tune in to The War Room for analysis and commentary you won’t find anywhere else! White House deputy press secretary Hogan Gidley on Monday criticized Democrats for being “upset” special counsel Robert Mueller did not return evidence President Donald Trump colluded with Russia to undermine the 2016 presidential election. He singled out Rep. Adam Schiff, D-Calif., complaining the lawmaker has said he agrees he does not think impeachment is the right choice for now, but he had been telling the United States he had “stone cold evidence” against the president. He also rejected Democrats’ argument Trump is putting the Republican Party before the country. President Donald Trump on Monday tweeted he can’t be impeached, denying claims he obstructed justice concerning special counsel Robert Mueller’s investigation. Several Democrats have called for impeachment following the release of Mueller’s report, which details at least 10 times Trump might have obstructed justice, though the special counsel did not conclude the president committed a crime. House Speaker Nancy Pelosi, D-Calif., is scheduled to host a conference call Monday with House Democrats to formulate a strategy following the report’s release. House Judiciary Committee Chairman Jerrold Nadler, D-N.Y., told NBC News on Sunday he has not ruled out impeachment, but said Congress will “have to hear from” Mueller and Attorney General William Barr before they can proceed, if they choose to impeach. President Donald Trump isn’t taking impeachment talk by Democrats lightly. “How do you impeach a Republican President for a crime that was committed by the Democrats? MAKE AMERICA GREAT AGAIN!” Trump tweeted Sunday evening after arriving in Washington following an Easter Sunday spent at Mar-a-Lago in Florida. Several Democrats, including Rep. Adam Schiff, D-Calif., over the weekend said impeachment could still be pursued. A redacted version of Mueller’s long-awaited report on Russian interference in the 2016 election, the product of a 22-month investigation, outlined multiple instances where Trump tried to thwart the probe. While it stopped short of concluding Trump had committed a crime, it did not exonerate him. Sen. Mike Lee, R-Utah, said Sunday it’d be a political “mistake” to start impeachment proceedings to remove President Donald Trump from office — though it’s likely that’s what House Democrats will do. In an interview on CBS News’ “Face The Nation,” Lee, a member of the Senate Judiciary Committee, said “it’s time to move on” in the wake of special counsel Robert Mueller’s report on Russian interference in the 2016 election. “I suspect that’s what the Democrats, particularly in the House of Representatives, are going to want to do,” he said of impeachment. “I don’t think most Americans, I don’t think most senators, most members of Congress, I don’t think most Americans will have their view of the president of the United States changed by this report,” he asserted. Rep. Adam Schiff, D-Calif., on Sunday accused Republican leaders in the Senate and House of being “willing to carry the president’s water” no matter what his conduct is. In an interview on ABC News’ “This Week,” Schiff said that willingness is the reason any effort by Democrats to impeach President Donald Trump would fail. “We’re in an environment today where the GOP leadership, people like [House Minority Leader Rep.] Kevin McCarthy [R-Calif.], are willing to carry the president’s water no matter how corrupt or dishonest the president’s conduct may be. He said Democrats in Congress will have a choice to make. In both his ABC News interview and on “Fox News Sunday,” Schiff maintained his assertion that evidence of collusion between the Trump campaign and Russia is “in plain sight” — despite that finding by special counsel Robert Mueller. He also addressed the issue when challenged on his assertion by “Fox News Sunday” host Chris Wallace. “When I talked about evidence of collusion in plain sight, I used those words ‘in plain sight’ and I pointed to the meetings in Trump Tower that Don [Trump] Jr. and [Jared] Kushner and Paul Manafort took,” he said. The final report of special counsel Robert Mueller contained findings that didn’t “sound like Donald Trump” — including his lament that “my presidency is over” after the Mueller investigation began, White House counselor Kellyanne Conway said Sunday. In an interview on ABC News’ “This Week,” Conway mounted a vigorous defense of the president in the wake of a report that detailed 10 potential obstruction incidents. But she predicted that as a result, Trump will be reelected. Conway also dismissed criticism of the Trump administration by Sen. Mitt Romney, R-Utah. “I thought that Mr. Romney missed a great opportunity this weekend to say one very important thing, which is, he was right in 2012 when he said to the whole world in a debate against then-president Barack Obama, the big geopolitical foe was Russia,” Conway said. A conservative host on CNN cannot reach liberal viewers without trumpeting for the ouster of President Donald Trump, but S.E. Cupp does it with a call to “beat him at the ballot box” – the way the U.S. Democracy intended – and not moving to impeach him. Cupp was pointing to the political attacks on President Trump from the Mueller report, which concluded there was insufficient evidence to prove a crime but passed the buck to Congress to decide the president’s fate on potential impeachment proceedings. “The reality is without bipartisan support for such a drastic and disruptive maneuver it will only rip us apart even further and that benefits Trump, not America,” she said of impeachment. “Beat him at the ballot box. Cupp said toppling the president using “respect, hope, and optimism” should not be hard. Ostensibly, for President Trump’s opposition: politically guilty because potentially not proven innocent criminally.